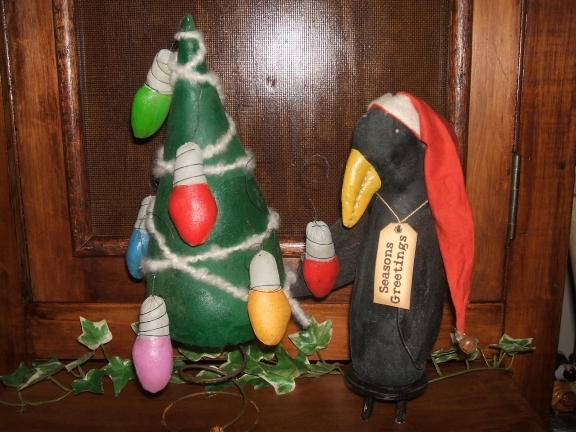 Add a touch of primitive to your Christmas. The tree is on a rusty spring and measured 23cm high The Crow is standing on a wooden stool and measures 26cm tall . Made from calico, which has been painted and aged. She has fabric wings behind her with a crow sitting on them. 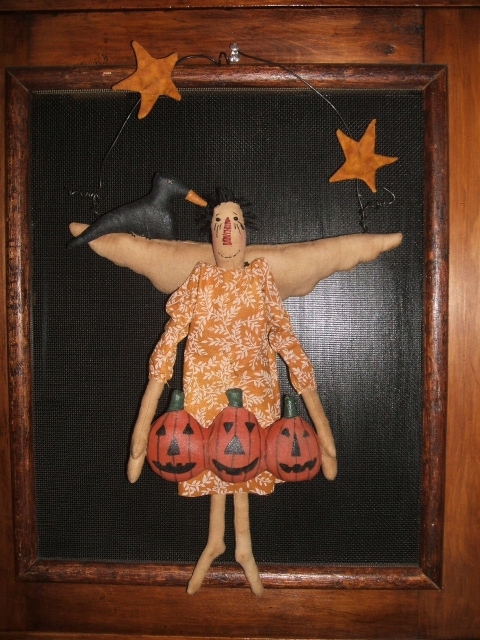 She is holding 3 painted pumpkins. What a cute doll to add to your primitive collection. top of the wire to her toes.